Home » Ecology » Cometh the Hour, Cometh the Newt! Cometh the Hour, Cometh the Newt! It’s that time of year when ecological consultants ready themselves for the firing of the start-gun that signals the arrival of survey season. The ecologists at Phlorum are no exception and we are currently busying ourselves for another busy season with great crested newt pond surveys scheduled from next month. There is a very narrow survey period for undertaking great crested newt pond surveys, which is between mid-March and mid-June. To determine presence or likely absence within a pond, four surveys must be carried out and at least two of these four surveys must be undertaken between mid-April and mid-May, which is considered to be the optimum breeding period for this species. 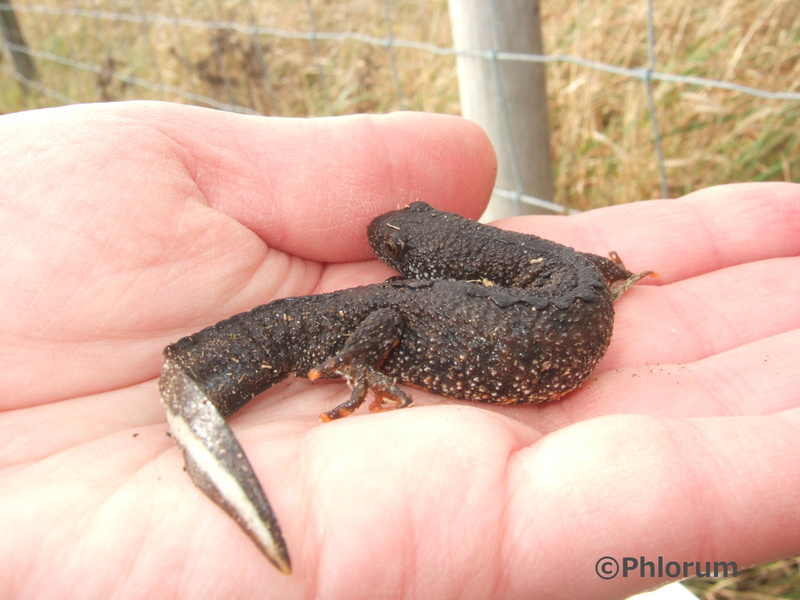 If great crested newts are found within a pond, an additional two pond surveys are then required in order for a population assessment to be made, with one of these additional visits carried out within the optimum breeding period between mid-April and mid-May. Great crested newts receive full protection under The Conservation of Habitats and Species Regulations 2010 (as amended) in addition to The Wildlife and Countryside Act 1981 (as amended). Under current legislation, individual newts are protected from injury, killing and disturbance and protection is also afforded to the places they use for breeding and resting. Where suitable habitat is supported within a site, Phlorum always seeks to advise its clients of the potential constraints this species may pose to development in addition to providing as much notice as possible regarding the tight time-frame for surveys in order to minimise delays to the project. If this species is present at a site, any potentially disturbing works will need to be carried out under a European Protected Species Mitigation (EPSM) licence from Natural England. The surveys are used to inform the licence application process and it is therefore a requirement that the appropriate surveys have been undertaken within the correct survey period.